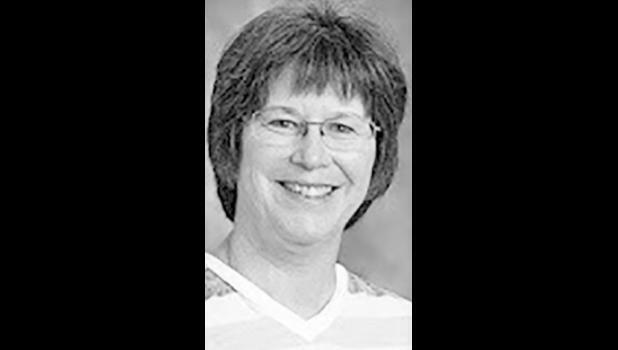 Royal Valley Middle School teacher Brenda Hainey recently received a Teacher Of Distinction award from the Naval Historical Foundation (NHF), it was reported. The NHF recognized 26 teachers in the 2018 National History Day nationwide history competition for middle and high school students that concluded June 14 at the University of Maryland. Hainey worked countless hours with RVMS students as they worked on their projects for Kansas History Day and National History Day. Hainey and five of her students worked on three different entries during the 2017-18 school year - documentary, exhibit and website - before school, after school and some occasional weekends. The focus on most of these projects was Raye Jean Montague, a U.S. Naval engineer credited with creating the first rough draft of a U.S. Naval ship on a computer. The students, Morgan Davis, Olivia Flowers, Henry Mitchell, Sondra Owings-Priest and Alex Cannon, were also congratulated for all of their hard work and dedication throughout the duration of each of their competitions and achievements at the various levels. Each year, some 600,000 students from middle and high schools from all 50 states and territories, as well as international schools in Asia and Central America, participate in NHD. Project categories include papers, exhibits, video documentaries, web sites and performances. Competition begins at regionals and then advances to state, and national levels of competition. Approximately 3,000 students and several thousand teachers participated in the final competition at the University of Maryland June 10-14. All Teacher of Distinction awards consisted of certificates, three-year NHF memberships and access to NHF historical research assistance.